Wetland Studies and Solutions, Inc. (WSSI), a Davey Tree Company, has grown from its 1991 inception to be one of the leading natural and cultural resources consulting firms in the mid-Atlantic. 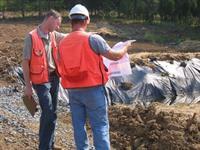 Our engineers, scientists, regulatory specialists, permit compliance specialists, arborists, archeologists, ecosystem & restoration specialists, surveyors, and geographic information specialists provide expertise and experience for public and private sector clients to obtain Clean Water Act permits and other environmental approvals. 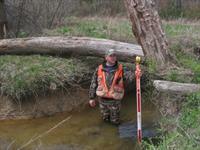 WSSI has provided services on ±7,500 projects, encompassing ±275,000 acres. 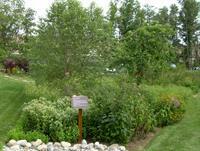 In addition, we’ve created and restored over 1,000 acres of wetlands and ±235,000 linear feet (44+ miles) of streams. Understanding the unique perspectives of our clients allows WSSI to successfully integrate the practical constraints of economics and land plan requirements with the need to satisfy local, state, and federal regulations. As a testament to WSSI’s outstanding achievements and unparalleled expertise in its field, we have received numerous industry awards, and our principal staff are often asked to conduct classes and seminars for regulatory agencies, universities, and industry associations. In addition, WSSI staff frequently testify before local, state, and national legislative committees regarding wetlands and water resources policy. Staff in Richmond, as well as our Gainesville, Virginia headquarters; Roanoke, Virginia; and Odenton, Maryland. Staff in Richmond, as well as our Gainesville, Virginia headquarters; Roanoke, Virginia; and Millersville, Maryland.